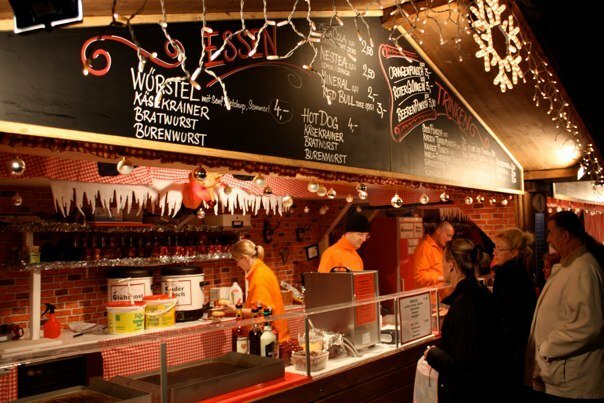 Vienna’s Christmas Markets – It’s Time for Glühwein! Reading from the US? 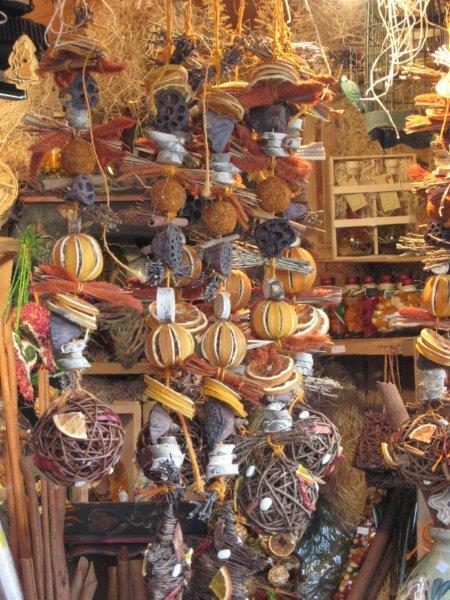 Click on some of the links and imagine the smell of pine, roasted chestnuts, gingerbread, sausages and cotton candy. 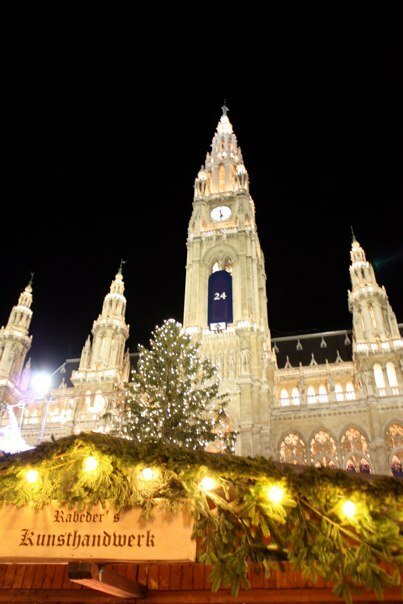 Feel the tingle on your cheeks as the crisp winter air nips at your nose, and enjoy the bright warm glow of colored lights and sparkling reflections of Christmas tree ornaments and angels’ wings. 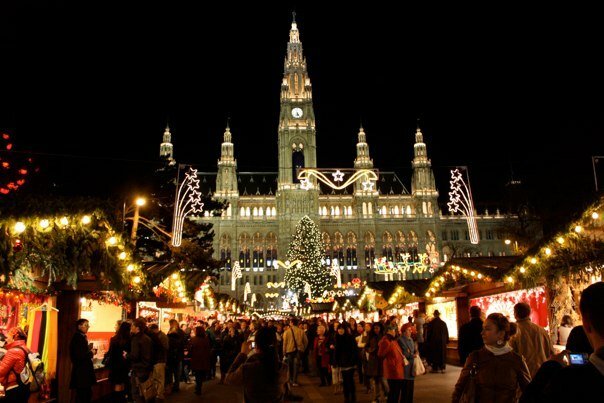 Then sulk a bit that you are not in Vienna because this is the Christmas Market Season and we are not lacking choices, here folks. Yes. In the States you can boast about your 101 choices of orange juice and aisles upon aisles of Mexican food. True. Austria has none of that. But Jolly Ol’ St. Nick do we have Christmas. 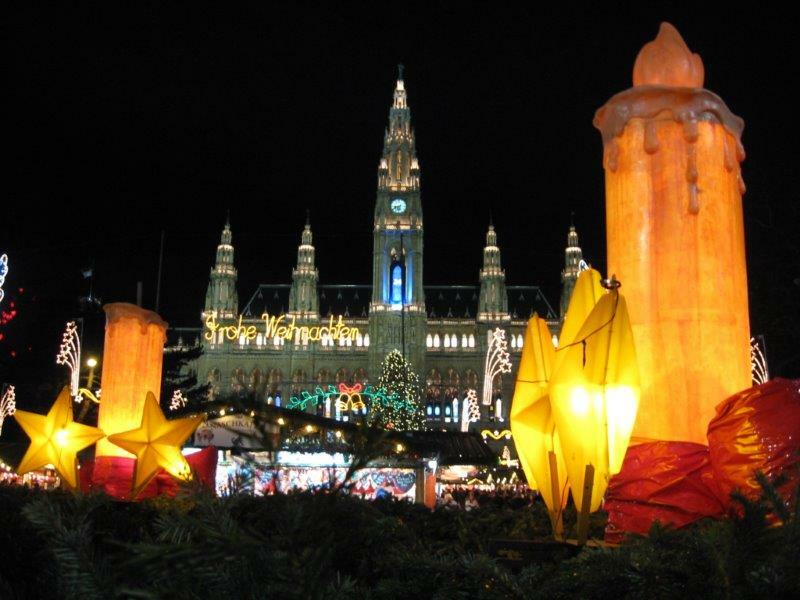 In Vienna? 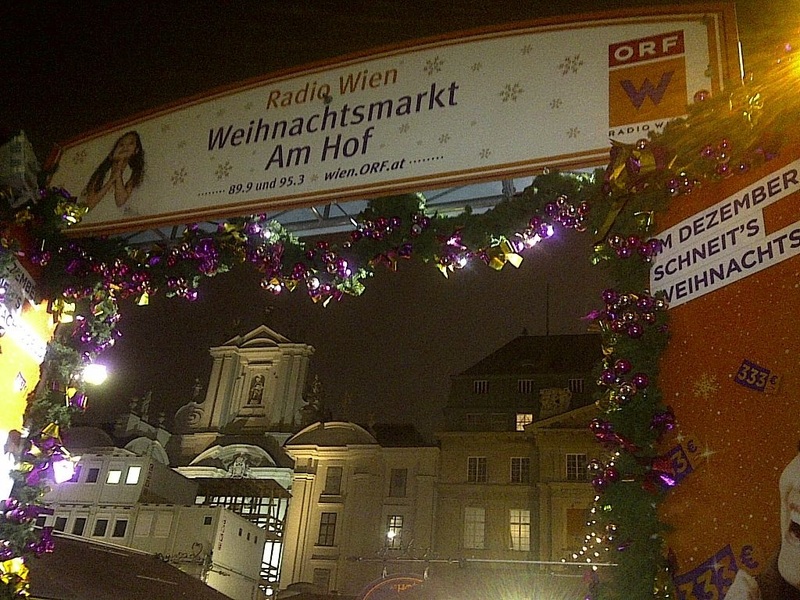 Then do what the Austrians do. Meet up with everyone you’ve been meaning to get together with all year but haven’t managed. Now. Quick! 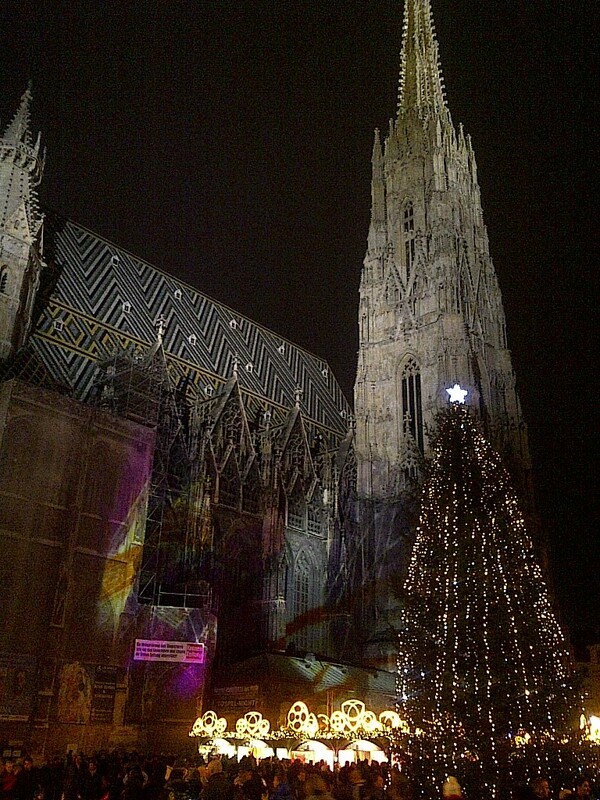 Before the bell of Stephansdom rings in a new year. 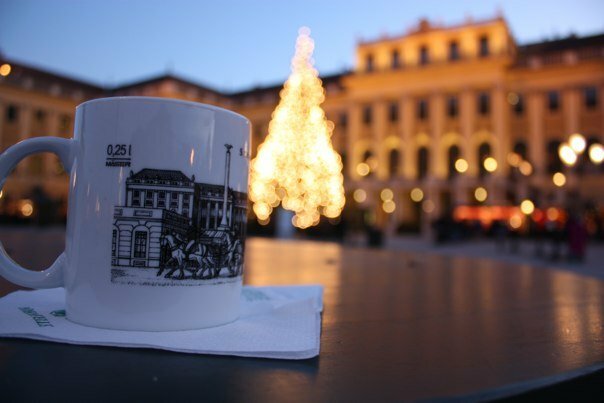 Go for a Punsch with colleagues after work (maybe even during, the markets open early and the Rathaus is all so close). Or Auntie Emma who you keep promising to visit. 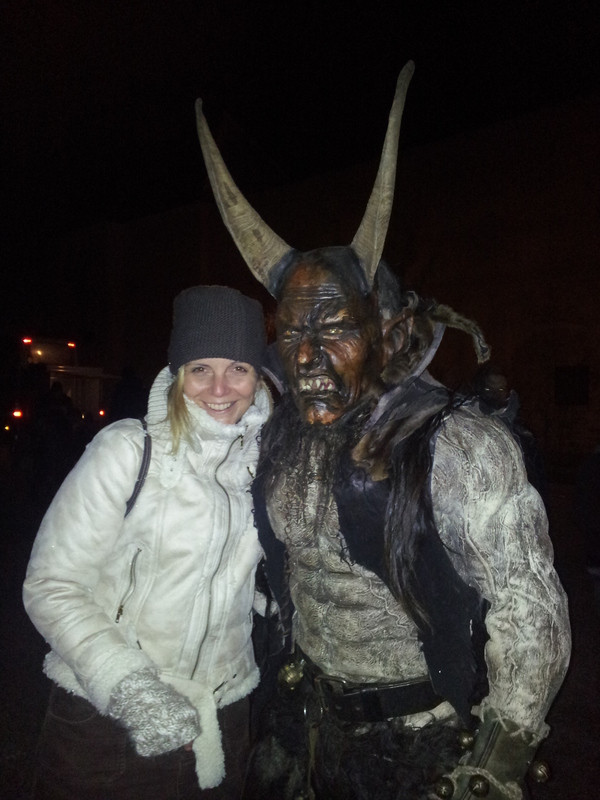 She is always much more entertaining with a Glühwein one or two. 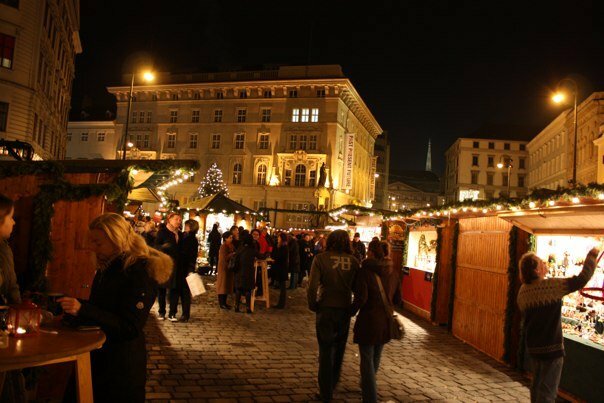 And if you don’t there are plenty of folks hanging out at these markets so maybe you are only one Glühwein away from a new lifelong friend or two. 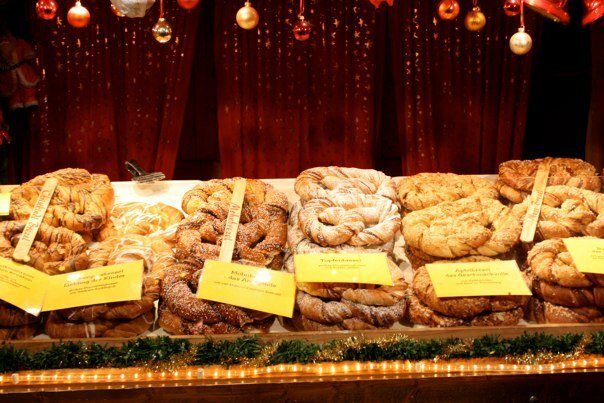 Baked Goods at Christmas Market in Vienna. Photo courtesy of M. Gardzina. I will post photos as I make my rounds. 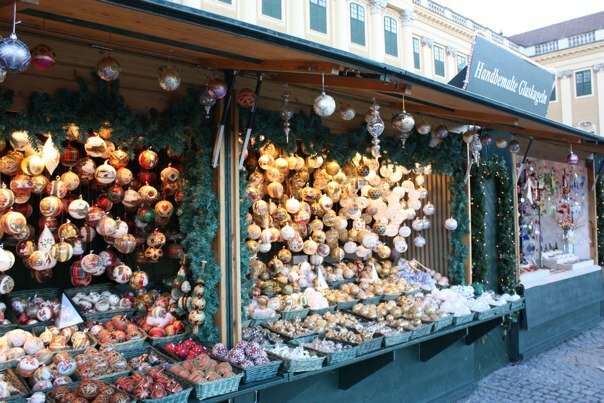 The KC challenge – how many will I manage before the Christmas markets become New Year’s stands. And if you have photos help me cheat by sending me some and I’ll try to post if they’re civilized. 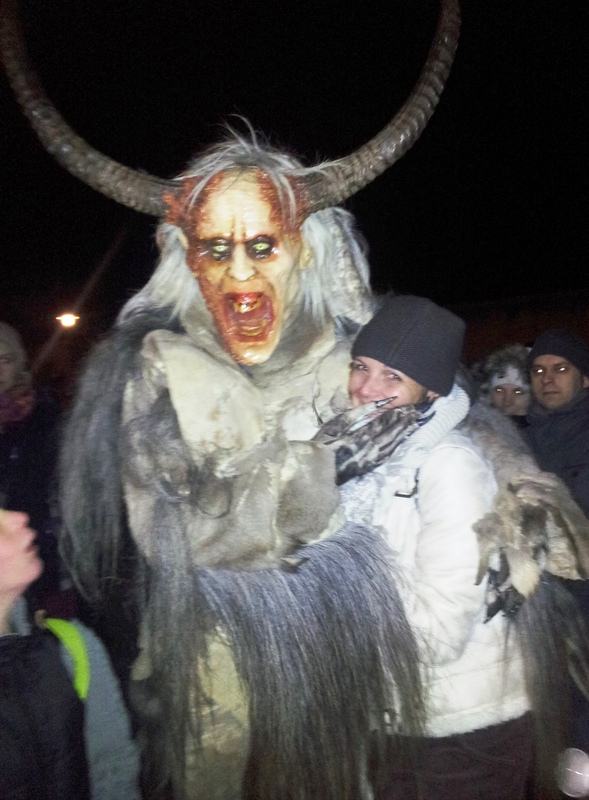 Nikolaus AND Krampus will be there. Start: Nov 20 Daily 11am – 10 pm. 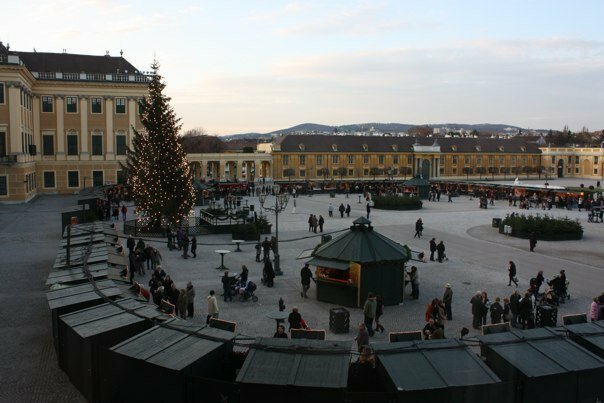 More Highlights: Lighting of the Christmas Tree: Saturday, November 16 at 5:30 pm with over 1000 energy efficient lights. 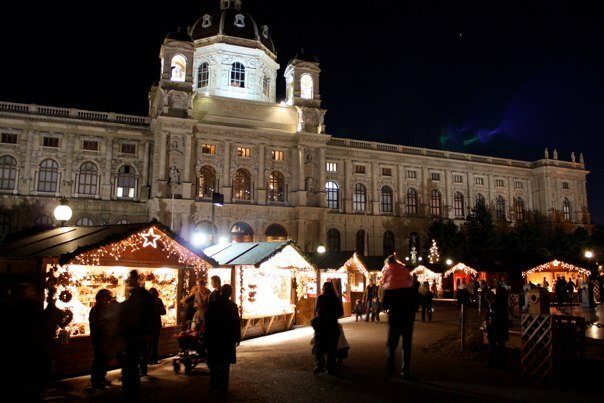 Starting Nov 18, Vienna’s high society will be reading Christmas stories at 6 pm almost every day at the “Himmelsbühne” (Heaven Stage). Highlight: Saturday, Dec 7 at 5:30 pm – ABBA show “Christmas Program” and at 7 pm Krampuses come a huntin’ – all you bad kids better hide! For crafts lovers and everyone else. One of my all-time favorite markets. The cobblestone lanes and little houses just feel like you are on the scene of Christmas train set. Start: Nov 15, Mo – Thurs 2pm – 9pm; Fridays 2 pm – 9:30 pm, Sat 10 am – 9:30 pm and Sundays and Holidays 10 am – 9 pm.